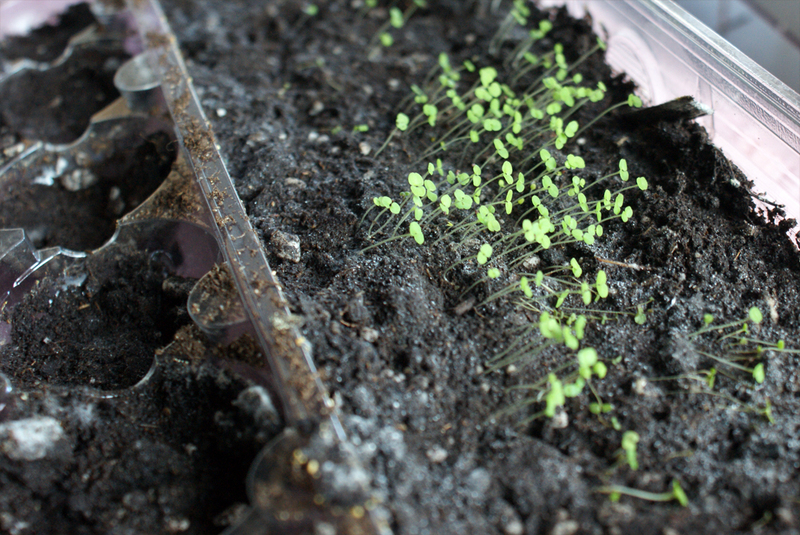 I am a proud mama… not only to a cat, but to a vast number of tiny, green lives. This year I started my garden indoors. I was waiting to find out which plot I was allocated in the Community Garden, so I couldn’t plant outside. 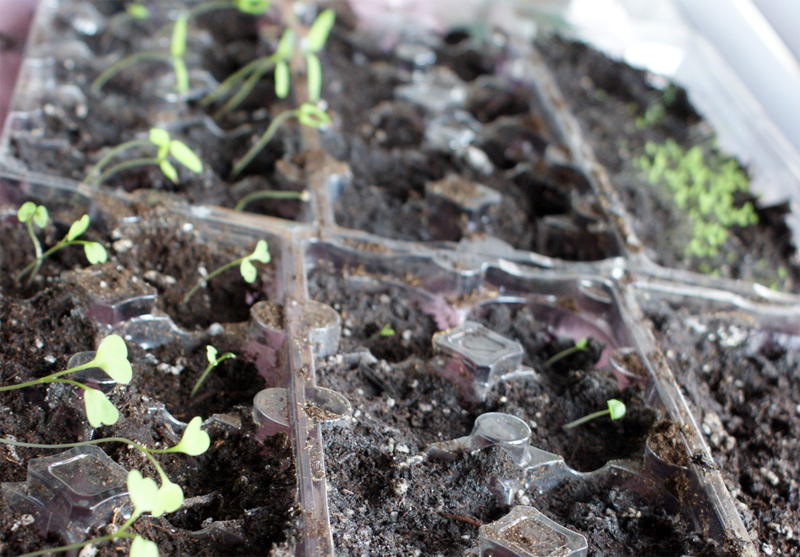 I took a couple of egg cartons, a small bag of dirt, and a selection of organic seeds to start lavender, coriander, oregano, basil, tomatoes, arugula, parsley, and peppers. I will plant my carrots directly in the earth, as they require more root room! My plants are keening towards the sun… but I think the when they’re outdoors they’ll manage to straighten up. 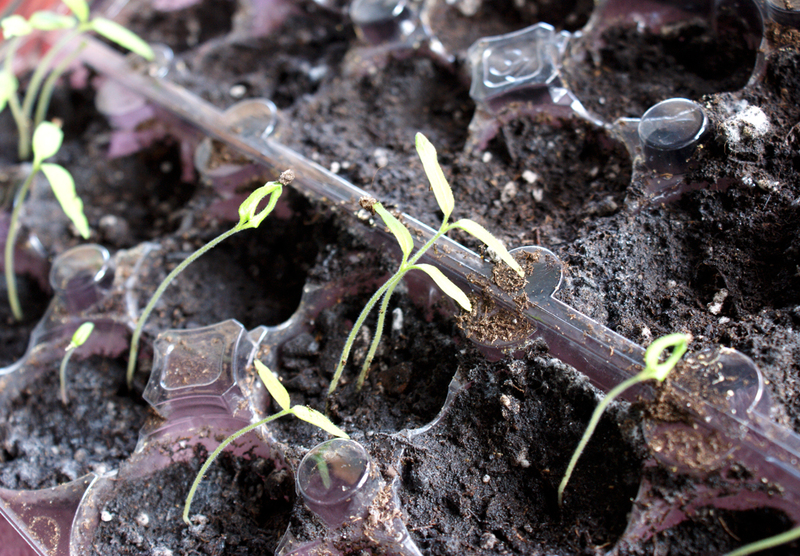 I am really looking forward to growing, tending, caring for, and harvesting these little guys. I’ll be careful to collect seeds, too! As those of you who peeked at this website yesterday probably know, I am attempting to grow sprouts inside my living-space/studio for the first time. 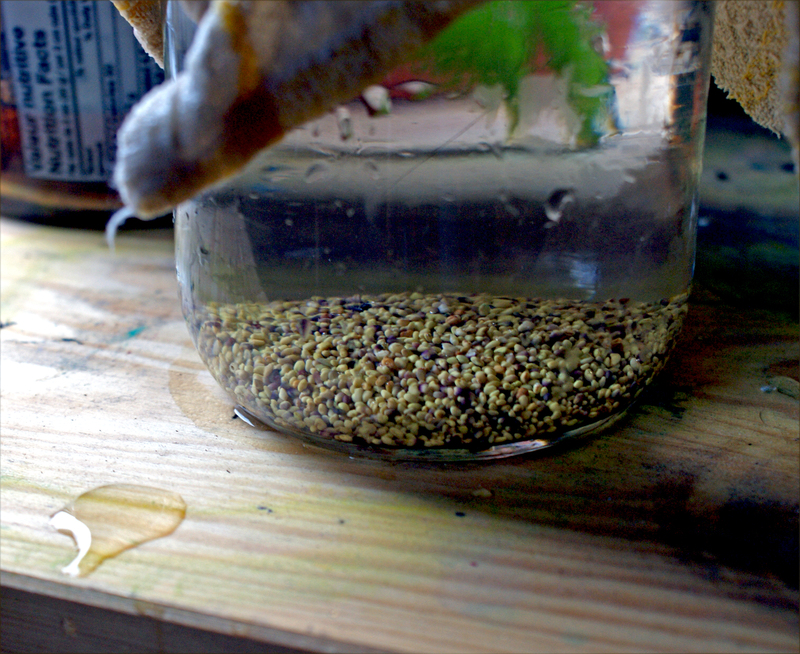 Just now I soaked, swirled, and now am re-soaking my seeds; the next thing to do is wait about 2-5 hours, then drain them. After that all I need to do is to rinse them twice a day, and watch them grow. I used a bit of old washcloth for my “mesh”, as that’s what I had available. I’d tried, firstly, to use a bit of an old shirt that never really fit right, but the fabric was too tightly woven. Bad purchase, that shirt! Anyhow, the old wash cloth (dish towel style) seems to work ok. I’ll let you know if it does really work in the end. I think there might be an issue with it retaining moisture, and apparently a problem with sprouting seeds is too much humidity. There is a chance they will mould, and then I can’t eat them. I might need to purchase a metal type of lightweight mesh. I really do not want to use any plastic in this production! That is one of the reasons I am trying this, I was tired of buying sprouts packaged in plastic. the location where my sprouts will inhabit, too. 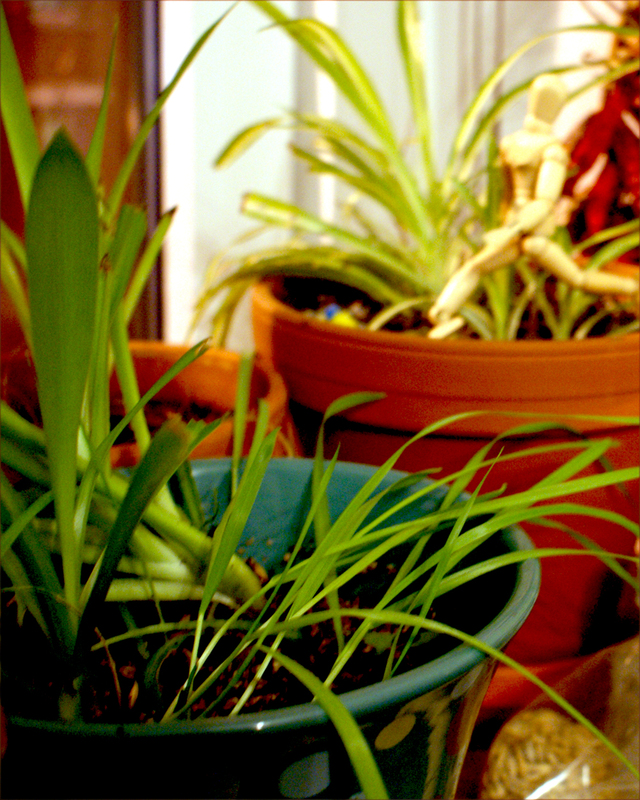 The spider plant and catgrass will welcome their new little buddies. I have wanted to try growing edible food inside my home for quite some time. I’ve not any sort of outdoor space attached to my home, but have been craving my own little “kitchen garden“. A year ago, I had some basil in my bathroom, sandwiched in between my bath and a window (it’s a special sort of bathroom design, if I ever clean it and decorate perhaps I’ll find an excuse to post an image of it…) but my cat had other ideas. I’ve recently gotten into buying organic sprouts, so I think it was only natural that I eventually would decide to try growing them for myself! 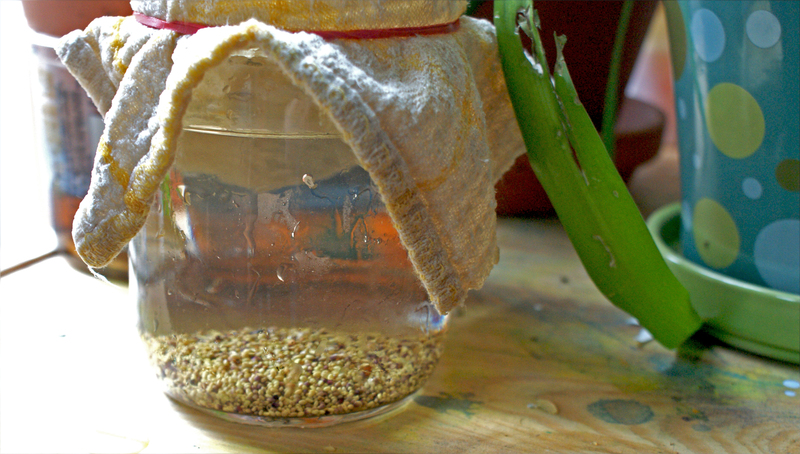 I have my packet of seeds (purchased in a Healthfood store), my wide-mouth jar, some rubber bands, and running water in my home. The last thing I need is a sort of mesh that I can strain the seeds on. I’ll come up with something. The seeds I bought this first time were alfalfa, but I might try some other varieties (peas, broccoli…) once I become an expert at this. Expect full documentation. I’ve long heard about the beneficial aspects of sprouts, and now’s the time to really give it a go!